I've been following essiebutton for a year now but I've been religiously watching all her videos recently. She's so amazing, and no matter how long her videos are I can't stop watching. Her vlogs are just as good as her usual beauty videos. Her greyhound Reggie is really cute! All my birthday presents - I got some lovely bits so I'll be doing a post on that soon. I've also been loving Bournville chocolate. Is that a weird one?! Dark chocolate is a lot healthier so I've been trying to eat more of it rather than milk chocolate. 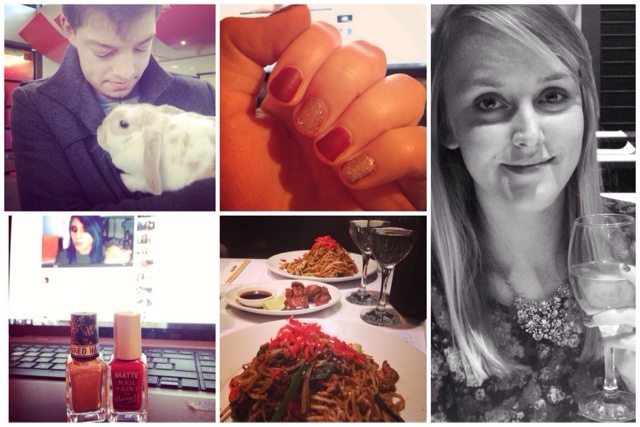 You might have seen that I celebrated my birthday by watching 12 Years a Slave then eating at Wagamama. I've only been at work for 2 days this week and my hours have been cut so I won't be working that much at all next week. But that's fine by me - more blogging and applying for jobs!